My iTunes playlist shuffles to “You are Your Mother’s Child” by Conor Oberst and I’m instantly transported to July 4, 2013, a divine turning point in my life–the day I became a mother. I know many say that your maternal instincts kick in as soon as you see the two lines appear on the pee stick, but that wasn’t the case for me. I had to get used to the idea. After all, 10 years before this day in history I had been told that I may never be able to have a child of my own. 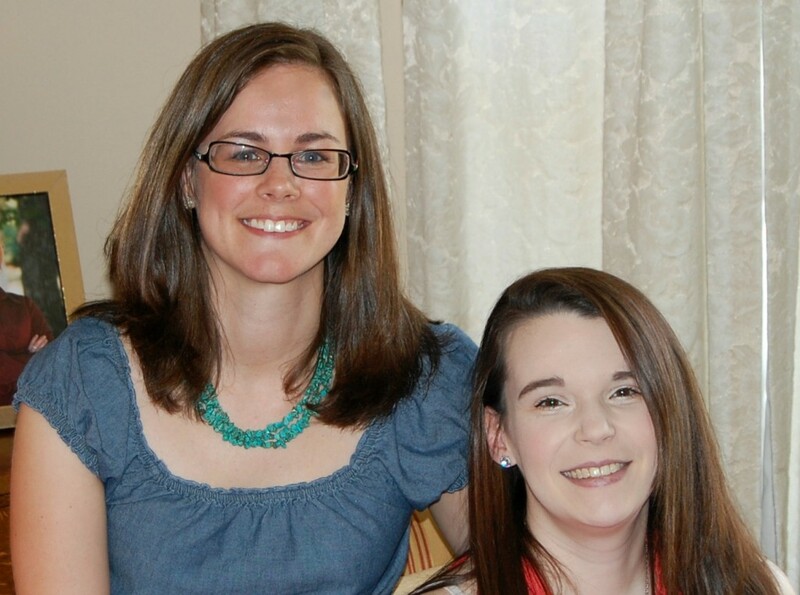 I felt more at peace when I was told, “It’s cancer” than I did when my surgeon sat me down to say that my option to have children may be taken away before I even had the chance to try. However, after 6 years of marriage, I had finally gotten used to the idea of not having children of my own. I had made peace with it and even planned for the future based on this assumption. So, while a part of me felt triumphant to find that my one, lonely ovary could rally the troops, the other part took a long (loooong) while to reconcile with the fact that this was real life. Since I had not been planning for this moment or even trying for a baby, I was at a complete loss as to what to do next. I set out for the bookstore and selected a book touted as “the most comprehensive and authoritative guide for expectant parents.” That should do it. Standing in the bookstore while trying to conceal that I was carrying a baby “about the size of a small blueberry,” I had no idea that Sheila Kitzinger’s, “The Complete Book of Pregnancy & Childbirth” would inspire me to proceed down a path that would lead to a natural birth, unaided by medical interventions or medication. As I was searching out options that would help me realize my desire to have a natural birth, I discovered the Birth Center of Northwest Arkansas. In my excitement to find a place centered on relaxed, non-medicated birth in a home-like setting, I contacted the Birth Center to see if that was an option for me. 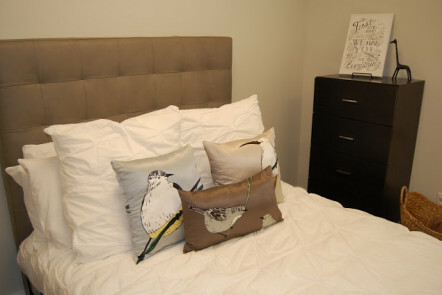 The staff was extremely helpful and encouraging, I really wanted to make it work. There was one major flaw to this plan–I lived in Central Arkansas at the time and planned to continue working throughout my pregnancy. Could you really blame me for wanting to have a baby in a cozy and luxurious birth room like this? I had the opportunity to tour the Birth Center this past Monday, and let me tell you, I was really impressed. 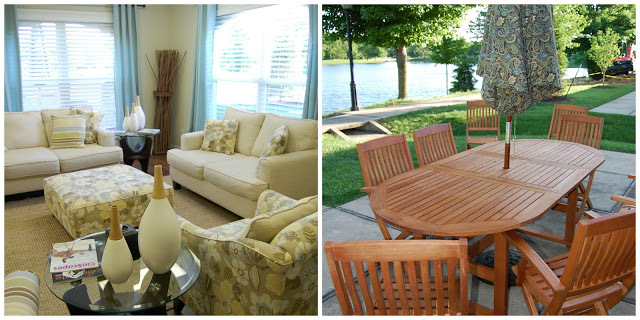 From the moment you walk in the door, you feel welcomed and at home in this bright, clean care center. 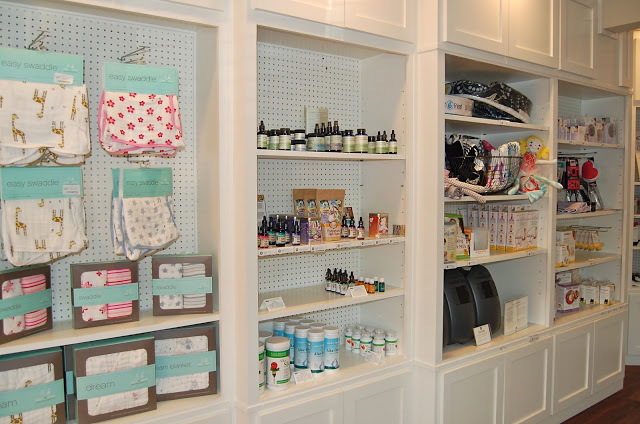 The retail alcove is appointed with the hard-to-find items for mom and baby like Baltic amber teething necklaces, breastfeeding supplies, and herbal supplements, some of which are made right here in Northwest Arkansas. 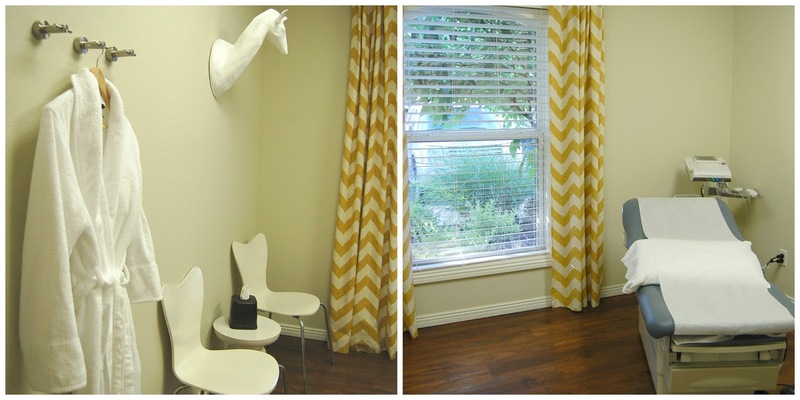 The waiting area includes a cheerful sitting room where families can relax while they wait for baby to arrive. 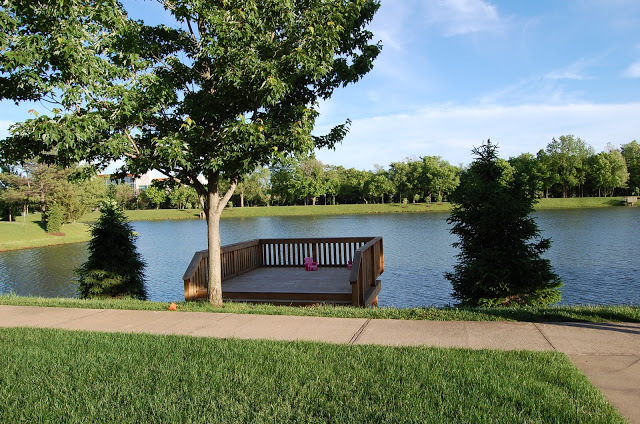 It extends outdoors to the picnic area overlooking a serene lake setting. According to Kitzinger, “Going to bed in the first stage of labor and becoming more or less immobile is not a good idea. It can slow labor or interfere with its starting effectively…When you are upright and moving around, gravity helps you.” You can do this at home or in the halls of the hospital, but I don’t think a woman could ask for a better place to stay active and moving during early labor than this lovely trail around the lake, just steps away from the birthing rooms. Whereas many women cannot say the same, I was extremely lucky to have the birth that I envisioned in the hospital setting. Would I have preferred to have a birth center experience instead? Absolutely. The Birth Center is the answer for the woman who is seeking a low-intervention birth in a relaxed atmosphere with care provided by midwives that you get to know and who get to know you and your family. In the rare occurrence that a transfer to the hospital is necessary, it’s comforting to know that their partner, Mercy Hospital of Rogers, is a mere 1.5 miles from the center. It may surprise you to know that in addition to providing top-notch prenatal, labor and delivery and postnatal care that includes home visits, the midwives also offer annual exams. Knowing that their comprehensive well woman exams include cancer screenings, pap smears and contraceptive management, I’m ready to trade in the hospital gown for one of their plush robes. As I was touring the Birth Center of Northwest Arkansas and hearing the stories of the 200+ babies born there (even one whose parents came from Little Rock! ), I couldn’t help but feel the tiniest twinge of regret that I did not have that birth experience. If you are looking for prenatal care or it’s time for your yearly exam, you should check them out! I’m so happy for Marcus and Jenn, and couldn’t wait to start planning the shower. After tossing around some other theme ideas, I decided that there was no better way to welcome “Baby Woods” than with a forest theme. I had so much fun planning this shower; it brought out my inner party planner and inspired me to get crafty. My grandmother agreed to let us have the party at her house in Mountain Home, a location that would be convenient for family and friends of the parents-to-be. 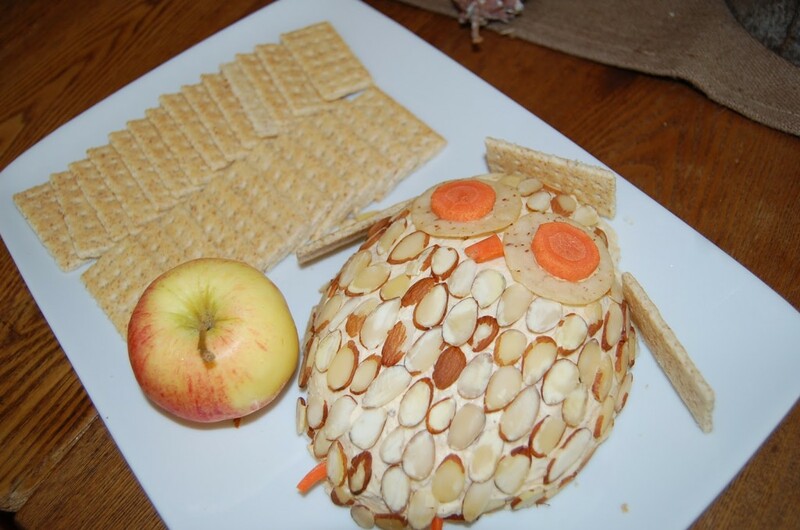 The owl cheeseball was a hit with all of the guests. It was almost too cute to eat! 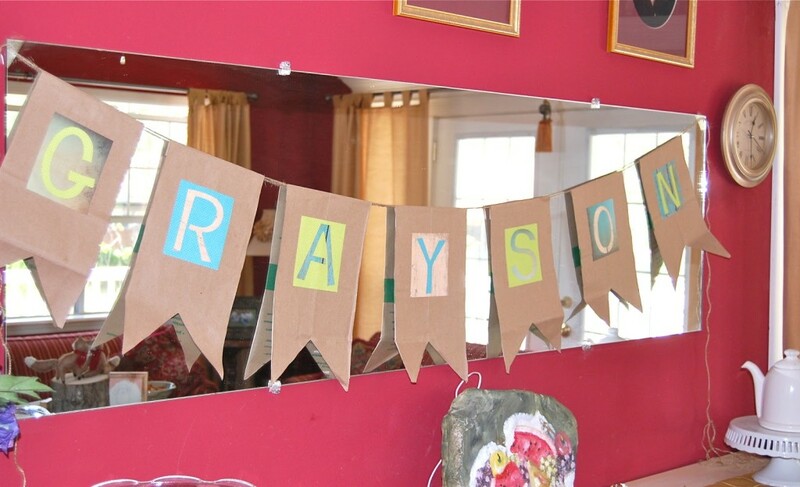 I made the bunting from paper bags (thanks, Ozark Natural Foods! 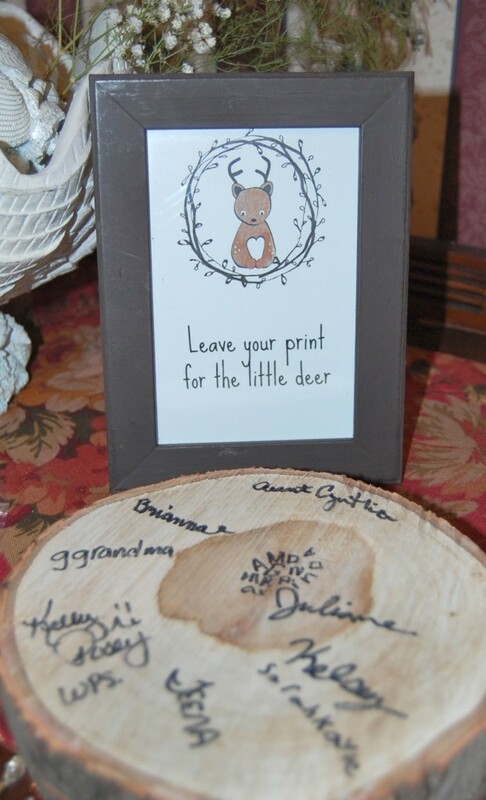 ), scrapbook paper and twine. Everyone who came went home with a bag of “birch sticks,” aka, chocolate-covered pretzel rods. 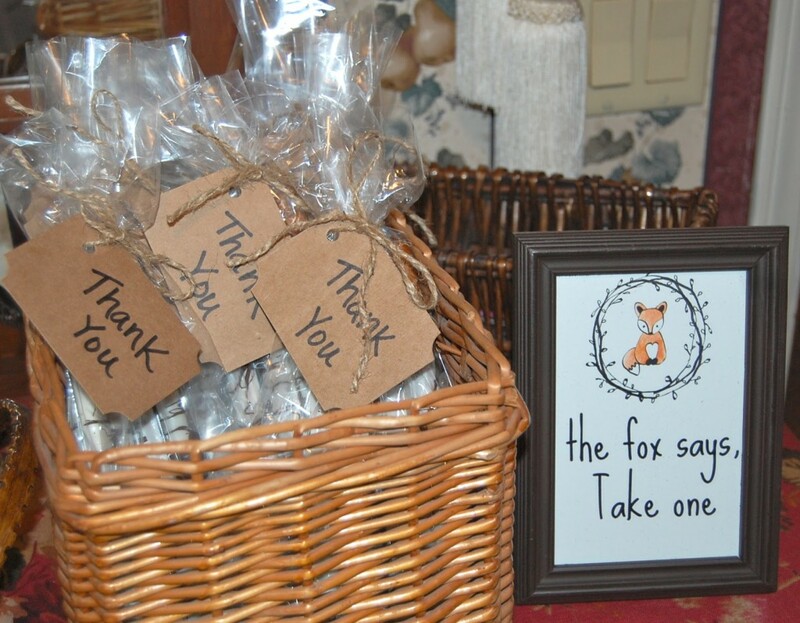 The adorable deer and fox graphics I used on my signs are from the talented Hannah at We Lived Happily Ever After. They are free to download, just click here. 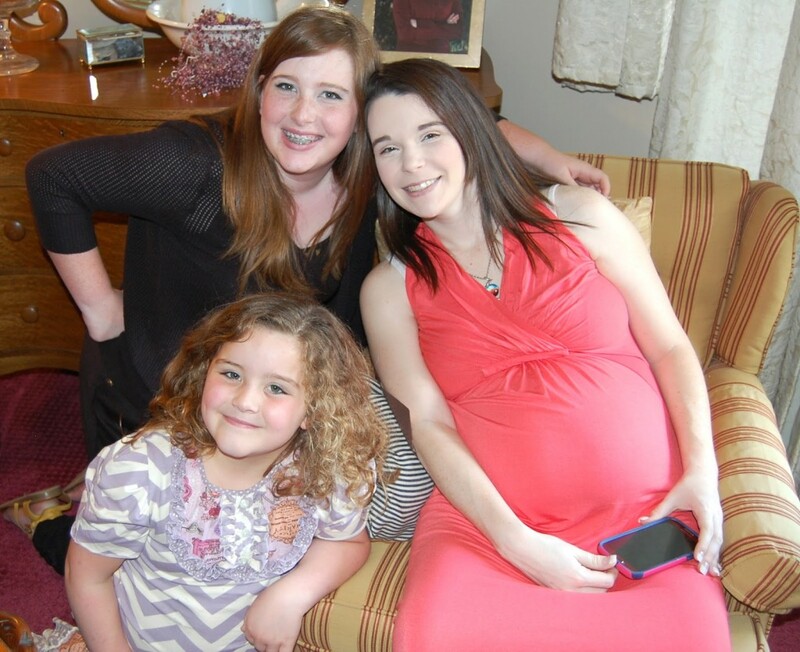 The guest of honor with a couple of baby Grayson’s cousins! 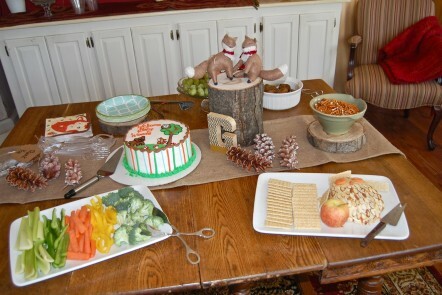 It was an honor to put this party together for Jenn and I can’t wait to meet baby Grayson soon!